Roaming zebras in Tanzania. All photos by Laura Itzkowtiz. 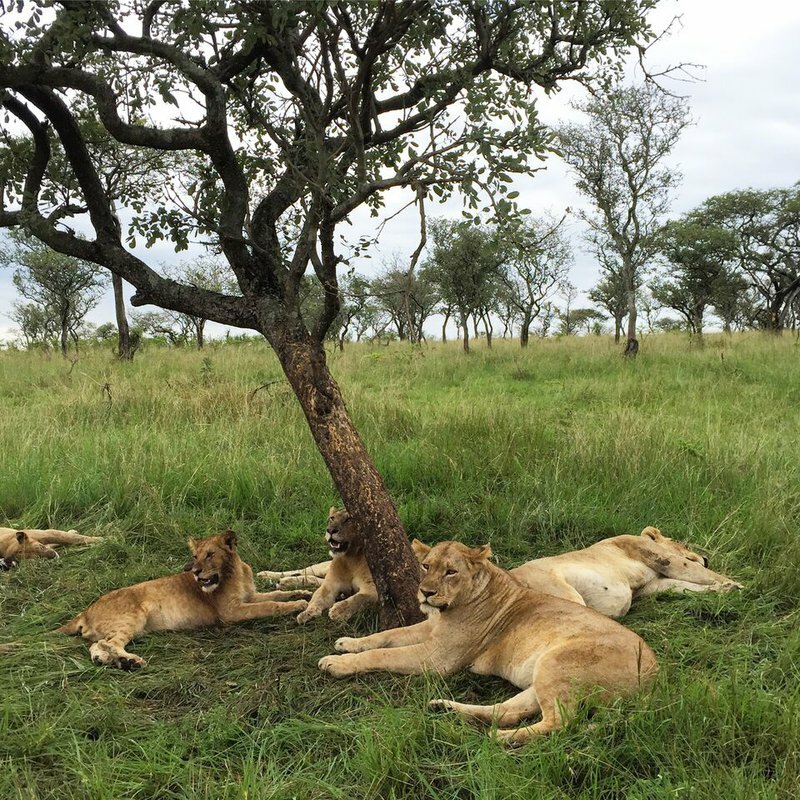 An African safari is a bucket list trip for most, including travel writer Laura Itzkowitz, who was kind enough to share the highlights of her first visit to Tanzania. 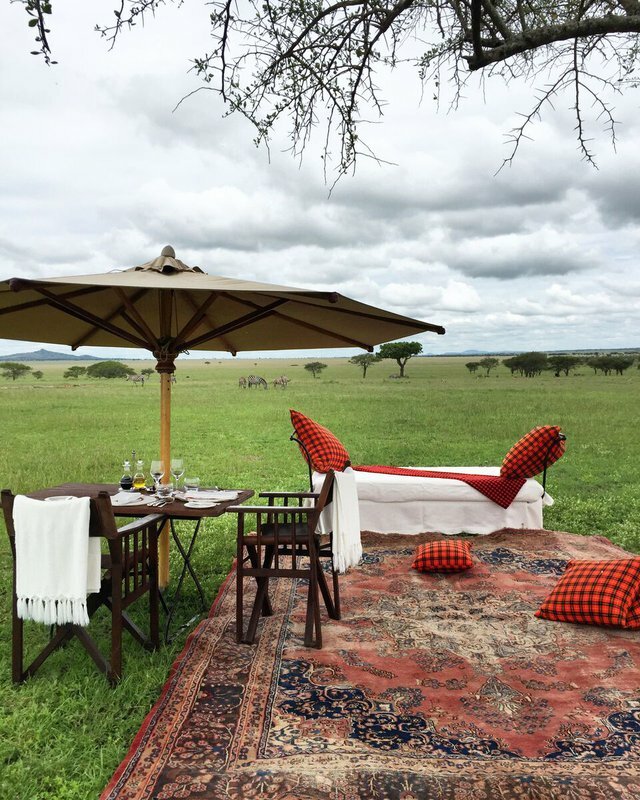 SERENGETI NATIONAL PARK, Tanzania - It's no secret that going on safari is a dream trip. In the months leading up to my journey, whenever anyone asked me what was on my travel bucket list, it was my number one reply. 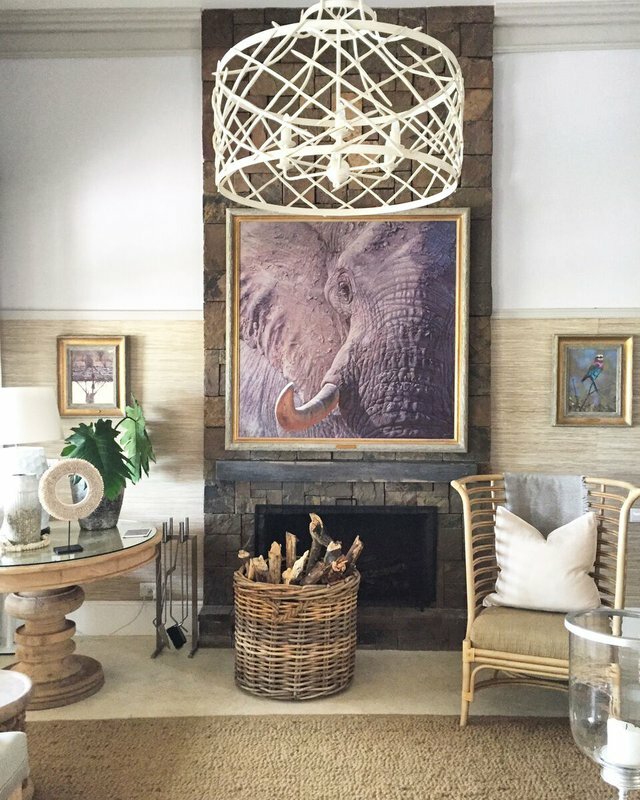 I recently had a chance to turn my dream in to a reality on a week-long trip organized by award-winning tour operator , a mother-daughter-run company with decades of experience planning unforgettable safaris across Africa. After flying into Kilimanjaro Airport and spending a night at in Arusha (a common stopping point for people embarking on this type of adventure), I took a bush plane to Seronera Airstrip, a tiny airport in the Central Serengeti. I spent time with , a luxury camp designed to pack up into shipping containers and roam around the Serengeti; , in the northern part of the park; and Grumeti, a private conservancy run by the non-profit Grumeti Community and Wildlife Conservation Fund with a collection of lodges and tented camps operated by . My guides went out of their way to make sure I could see (and photograph) the most incredible animals and places in this wild part of Africa. My guide (Deus) at Roving Bushtops in the Central Serengeti took me to visit a primary school outside the park. 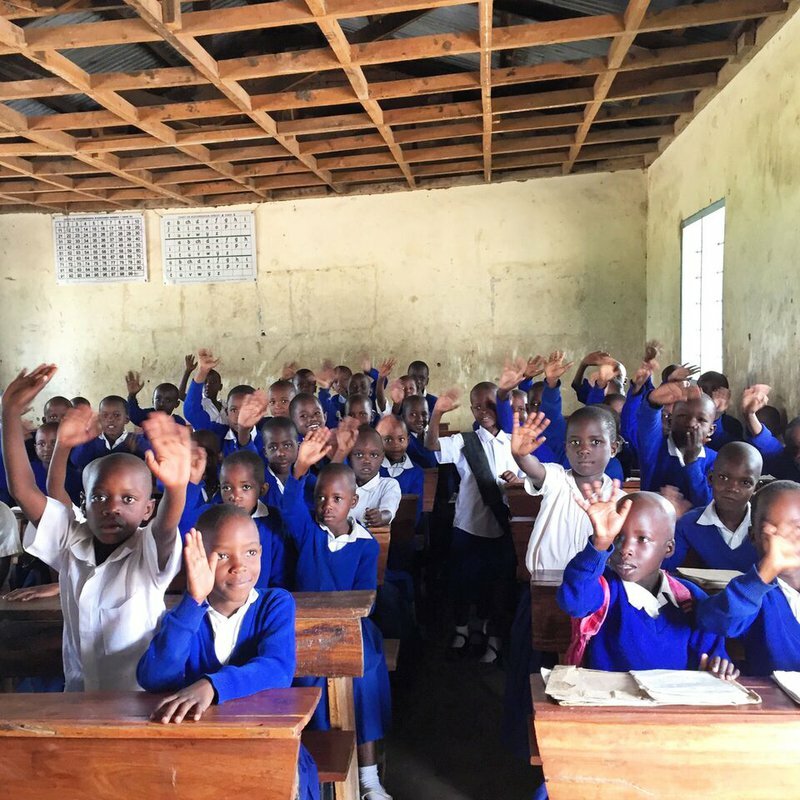 The family-run company partners with local schools to provide support and supplies. The kids in the first grade class greeted me and Deus enthusiastically, waving their hands and shouting "Hello!" Despite living so close to the Serengeti, most of the kids had never gone into the park to see the animals. (Their families can’t afford the park fees.) Roving Bushtops’ general manager arranged to bring the top two students from each class on a safari and to see the camp and learn about career opportunities in hospitality as a way to give back to the local community. 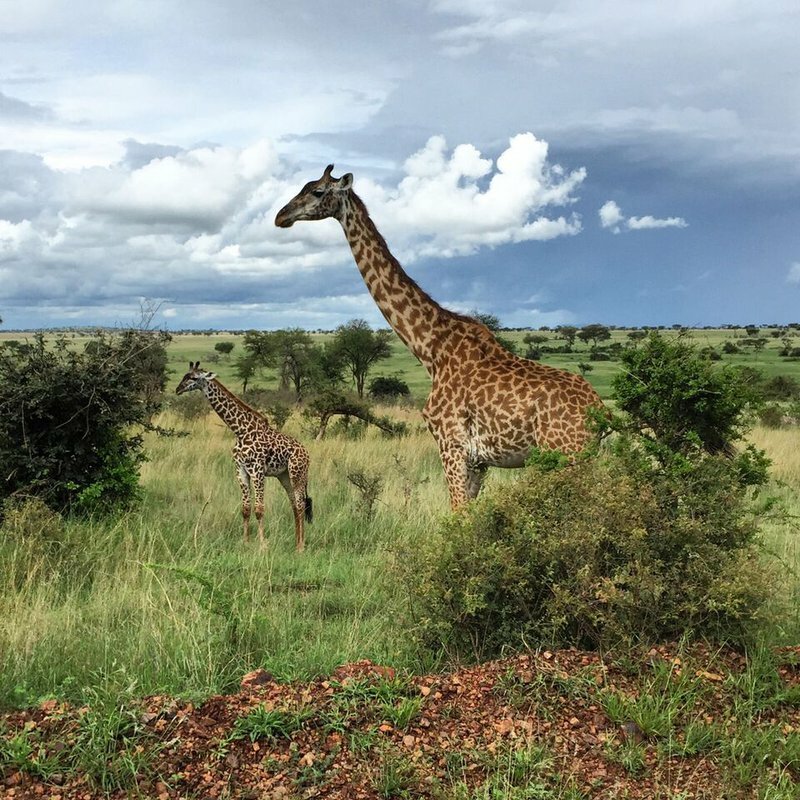 Giraffes like these are commonly seen in the Serengeti and Grumeti, where I took this photo. Unlike other mammals that walk alternating their front and back legs, the elegant creatures walk alternating their left legs with their right legs so their knees don’t knock into each other. 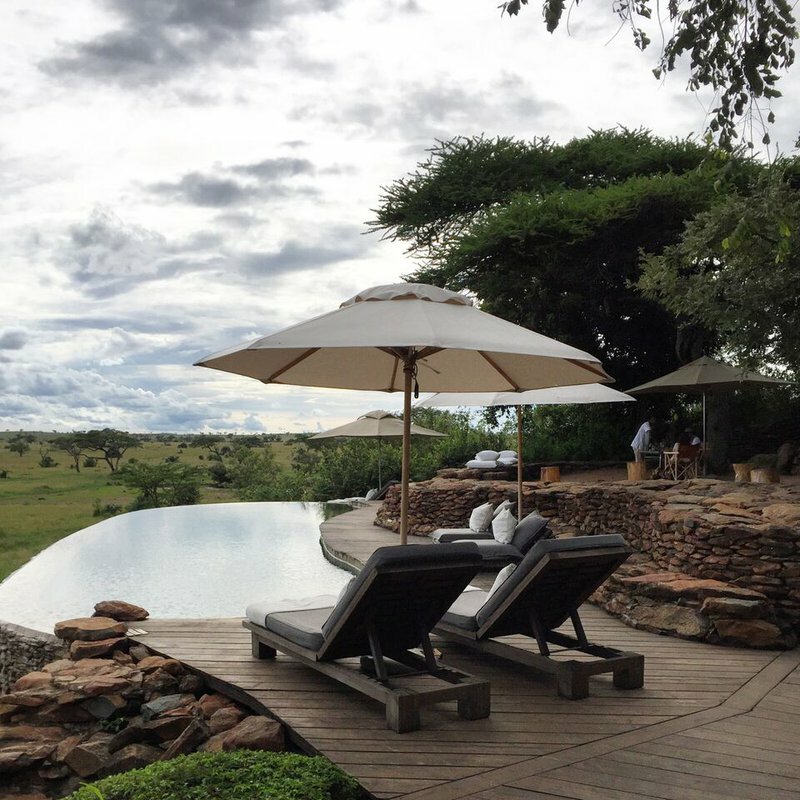 Singita Safari Lodges has five options for accommodations in Grumeti, a private conservancy just west of Serengeti National Park. This is , a beautiful property with modern design and an infinity pool on a hill overlooking the Grumeti River. 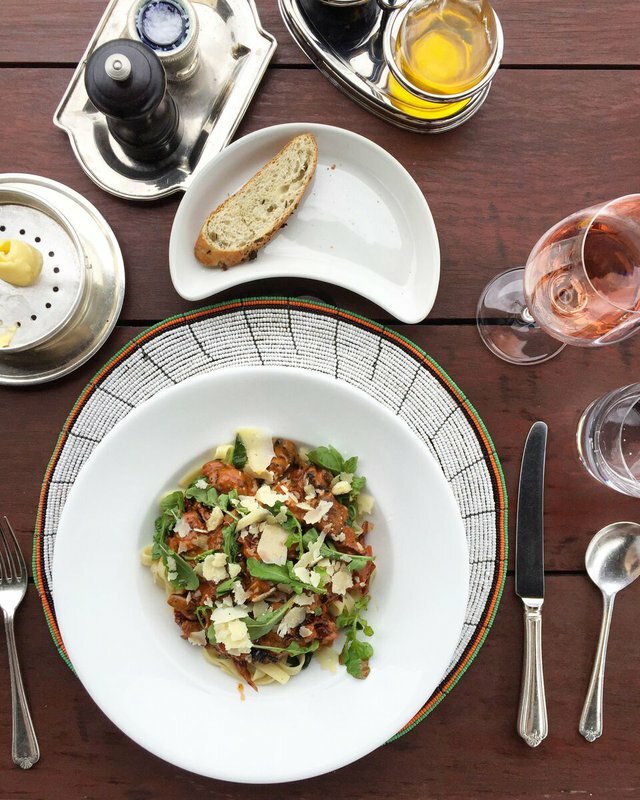 The meals at Singita were delicious and paired well with South African wines. After this lunch of pasta with sundried tomatoes, arugula, and Parmesan, I visited the , where chefs-in-training from surrounding villages learn to work every station of a professional kitchen, preparing them to find employment with Singita or other lodges. The beaded placemats are handmade by Masai women. 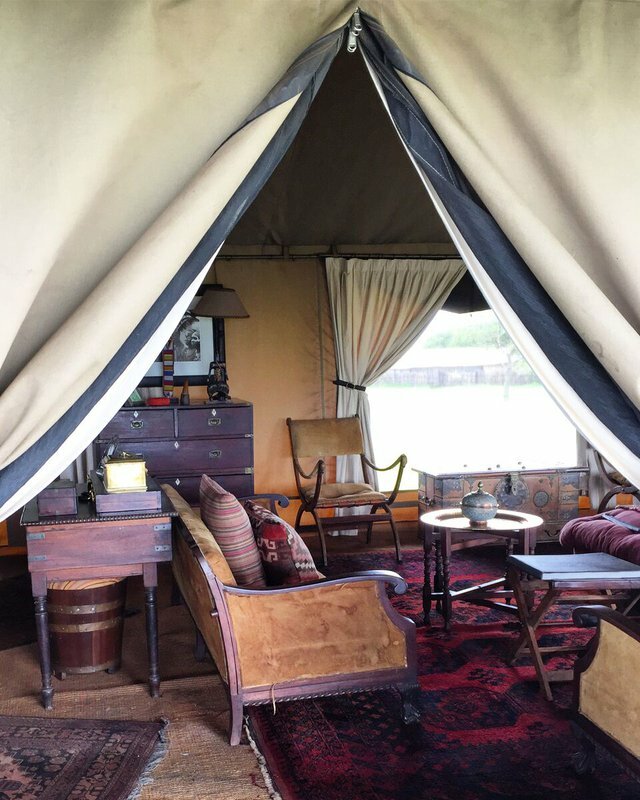 Here's a peek inside one of the communal tents at the , which was full of antiques and artifacts evocative of the 1920s. Staying there felt like stepping back into Hemingway’s time. The is the most intimate of all the accommodations at Grumeti. Guests rent out the entire property, which comes equipped with spa, gym, tennis court, swimming pool, and a private chef. Needless to say, it’s a popular option with A-list guests who value privacy, like Oprah and George and Amal Clooney. One of the benefits of visiting Singita’s Grumeti accommodations is that — unlike in Serengeti National Park — you can go off-roading. My guide drove into the bush and parked right next to this pride of lions so I could see these majestic creatures up close. Could the lunch setup at Singita’s Sabora Tented Camp be any dreamier? 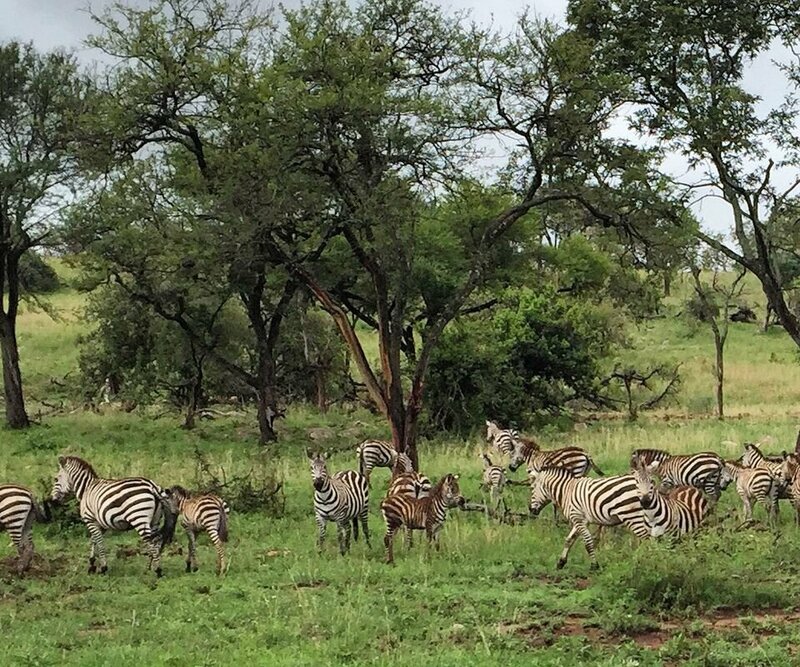 I could’ve lounged around here all day, just hanging with the zebras and reading a good book. is a freelance writer and editor. You can follow her on and . She travels for the culture — the more unfamiliar the better.